581 Travel is a Gatwick Airport Taxi Service guaranteed to get you to and from the airport on time and in style. Our dedicated team of professional and courteous staff can cater to your every transport need, whether you are travelling for business or pleasure. 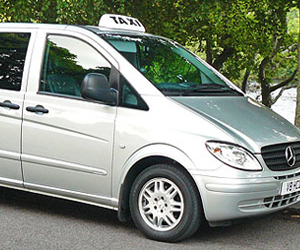 581 Travel can provide a hassle-free taxi service to all customers in the Gatwick district and surrounding areas. When booking with us, you can expect a professionally cleaned vehicle that can hold one to 16 passengers for the journey. We frequently monitor flight times and meet and greet you as soon as you step off the plane. However, we do not charge for any flight delays, should they occur. We have a strong database of satisfied customers returning to us for their Gatwick Airport Taxi and transfer needs, and we make sure that everyone travels at ease with us. This part of your travel need not be stressful, so why not let our expert team of professional drivers take care of the driving while you prepare yourself for the journey ahead? Booking a taxi should be quick and easy, and all our customers can do this instantly online through our dedicated booking form. Alternatively, you can also select to speak to a member of staff by calling us, if you would prefer. Whichever way you contact us, we are open 365 days of the year, 24/7, just waiting to get your travel plans confirmed. If you require a Gatwick Airport Taxi or Transfer service, why not try our successful taxi service for yourself and travel in style on your next journey?